The wedding guest book is a perfect time capsule. Showcase your favorite photos and memories from over the years, capture guests’ well-wishes and preserve the occasion forever. It’s not only something you’ll cherish forever, it also makes for a beautiful addition to your ceremony and reception. MagCloud’s photo book format is perfect for the occasion. We also recommend checking out Blurb’s photo book options! Share your love story with friends and loved ones in a beautifully unique, one-of-a-kind scrapbook using Flickr, and distribute it as part of the wedding gift. Simply gather your photos into an online photo album (take a peek at this post for tips! ), then choose the photo set. Your photos will automatically be organized into a beautiful magazine format. Make your wedding photo album as unique as your wedding. A beautiful album will last a lifetime and ensure those endearing moments documented on film (or Instagram!) are around for generations to see. Regardless of whether you’re on a budget, or merely prefer a more hands-on approach, you have easy-to-use options at your fingertips. From MagCloud’s photo book format to Blurb’s BookSmart tool, you’ll get high quality prints that will last a lifetime. As the wedding season heats up, we’d love to hear your creative planning ideas and how you’ve used MagCloud in aspects of your special day. Share in the comments below, or connect with us on Facebook and Twitter. It goes without saying that June is an exciting time for most. Midway through the year, it signals the start of summer and encompasses both freedom for grads and family fun for dads. If you’re in the market for a unique way to celebrate either one, you can use MagCloud to do last-minute shopping for Dad or commemorate your grad’s past as they look toward the future. If your dad happens to be a jack of all trades, chances are we have the mags to match. Whether he likes cars, technology, sports, or travel, we carry print and digital publications that make reading a more pleasant pastime. You don’t get between a guy and his grill, unless you have a cookbook. Put together his go-to recipes in a custom recipe book. We have the perfect recipe for a successful cookbook, should you need it! Since the change that accompanies graduation can be bittersweet, you can create a photobook to commemorate the past years before your grad takes a step in their new direction. The MagCloud Digest product is perfect for displaying full color photographs in a compact layout. If you found yourself in a pile of celebratory send-off gifts, you can give thanks with custom thank you cards. Our single sheet Flyers in the smaller Digest size are printed on a cover stock that that fits perfectly into A9 envelopes and makes them ideal for using as flat notecards. Get started with our Software-Specific Instruction Packages. Much to our delight, some grads will be on the hunt for careers as artists, designers, writers and publishers. For those of you, MagCloud’s print-on-demand features include quality printed portfolios at an affordable price, with a variety of sizes and binding options and an optional number of copies. With our Ship to Group feature, you can even send copies of your portfolio directly to an address list of potential employers. No matter what or whom you’re celebrating this summer, MagCloud wants to help you wish them a warm congratulations and a happy Father’s Day! In the United States, the arrival of June brings with it National Barbeque Month. Primarily, it means three things: warm weather, fun festivals, and great grilling. As the days get longer and you begin gathering around the outdoor barbeque, you also get a chance to show off your best recipes. If you’re a cook yourself, you know that presentation is as important as the flavor itself. So why not present your culinary chops in the best way possible? You can put your favorite recipes to work for you and your guests, or collaborate with your friends and family for a cookbook worth keeping – and, despite the temperature, you don’t even have to break a sweat. With our Microsoft Word Templates, you can customize colors, fonts and more just by following our Word template tips. If you select “US Letter Borderless” as the paper type in your page set-up, your cookbook will be ready to print via MagCloud. If Word isn’t included in your summer style, you can also try your hand at our cookbook templates for Adobe InDesign and Apple Pages for designing your own barbecue cookbook. 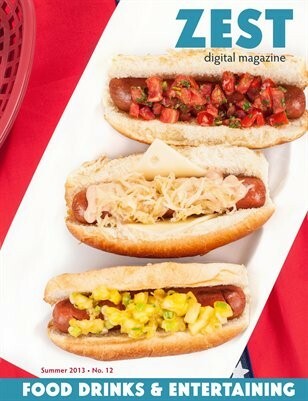 In the rare event that you haven’t already found yourself surrounded by appetizing inspiration, we might suggest browsing our selections from other grill-savvy MagCloud publishers, like ZEST: Food, Drinks & Entertaining. As the old adage goes, “A picture is worth 1,000 words.” Today, these words have never been truer. Digital technology has long made an impression on our imagery, and while the tools are changing, the rules for aesthetics remain. With the rise of micro-publishing platforms like Instagram, there has been an increase in the widespread sharing of traditionally outstanding photos in an innovative space. Photographers, individuals and brands everywhere have become publishers in their own right and have given new life to visual storytelling. Since publishers are known for their storytelling, Instagram enables them to extend the reach of their already compelling work. 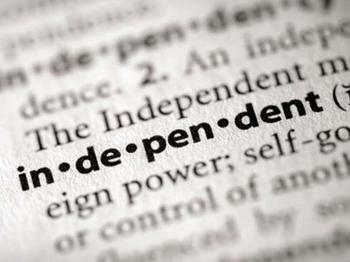 It offers a new perspective, and, if done right, can increase audience loyalty and readership. How, you ask? Read on! For starters, you can leverage Instagram for posting between publishing. It’s a quick, easy way to give your readers a sneak peek at what’s coming up in the next edition, or to solicit feedback on what they might like to see more, or less, of. Your posts should be unique to you, so don’t overanalyze it. Share images that are easy and fun, and that speak to you specifically. Fill your frame with photos that matter to you and focus on the framing. The right crop can make all the difference. Take advantage of Instagram’s hashtag feature. Beyond using common themes to create a steady stream of conversation about your channel or publication, you can also include popular hashtags to insert yourself into broader discussions about #travel, #photography or even #throwbackthursday. Every time you post, you become more readily visible to audiences all over the world, exposing your publication to viewers with similar interests, and ultimately attracting new readers. By now, most of you have heard the exciting news we shared this week: As of May 5, 2014, we have transitioned the MagCloud business to our good friends at Blurb. When we started MagCloud back in HP Labs we sought to democratize publishing, so anyone could create and distribute their own magazine. In the five years since, we have been honored to print hundreds of thousands of publications from wonderful publishing enthusiasts, photographers, artists and business owners all over the world. Now looking ahead, we feel it’s time for MagCloud users to get even more out of publishing and we believe that Blurb’s growing self-publishing ecosystem was the perfect next step. Over the coming months, as we get settled into our new digs, the Blurb team will be providing more details on the transition. That means you’ll also want to opt-in to receive Blurb’s newsletter updates to receive the latest information on the transition, as well as stay up-to-date on all things Blurb. We hope that as our partnership evolves, you’ll find yourself as comfortable on Blurb’s pages as you are on ours. In the meantime, click here to learn more. 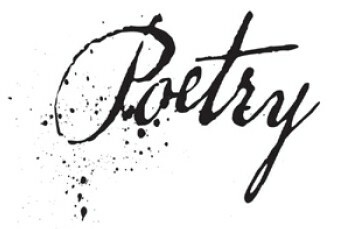 Established by the Academy of American Poets, the United States celebrates National Poetry Month throughout the month of April. Ultimately, the purpose of the dedication is to draw individual and media attention to the art of poetry. As artists, we know that poetry takes on many forms. While some keep free verse journals, others compile intricate sonnets and visual poems. Regardless of where on the spectrum your collection lies, though, there is a publication designed to make it shine. There is no time like to present to celebrate your own poetry, so read on for publishing pointers. Since the layout of a poem can be as important as the words themselves, the first step to publishing it determining the best place for your poetry to call home. Composing poetry on glass or wood and then uploading photos can completely change the perspective in your book. Tell a visual tale with your story by writing in different shapes. Graphic layouts are ideal for acrostics and outlining the silhouette of a character, or tracing the landscape of your setting, can significantly increase the visual appeal of text without imagery. Create a language of your own by changing the fonts throughout your text. Don’t stop at style though, increase the size, change the color, and indicate significance with bolding, italics and CAPS. Each aspect of your font can add emphasis to your words and your tone. Like with lines, spacing can increase the drama on a page without any images. You can control the chaos with specific kerning or create a world of context by increasing the length of your lines. Sometimes the white space between the words introduces a meaning more powerful than the poem. Each picture you include brings 1,000 words of its own, complimenting the existing artwork with even more context. Ebooks can deliver a digital space where the possibilities are endless; complete your composition with videos and sound recordings for a visceral experience. Have any tips of your own? Share them below!